"As I review (and have reviewed) all the Bible’s information, concerning May 21, and now Purim. I see things that were wrong (again, no literal earthquake, no physical five months of torment on earth, no end of the world in October, and no end of the world and rapture of God’s people during the feast of Purim); but my problem is that I do not see why they were wrong. Based on the Bible’s evidence I do not see why the world did not end. Therefore I do not know where to make correction. Years ago I have felt extremely sorrowful over the many false teachings of the churches. We first began as a ministry with the desire of being as faithful as possible to what the Bible says. I have never wanted to teach anything contrary to the Bible. There is enough error out there to last us all many lifetimes. EBible Fellowship existed to teach truth. 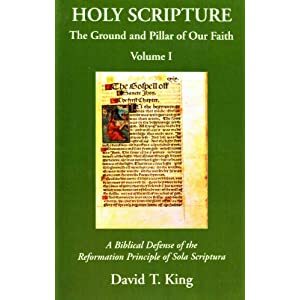 And yet, without knowing how or where to make correction regarding a doctrine that impacts so much of the Bible itself I do not think it is possible to continue teaching at this time." He seems blind to the idea that his methodology is useless. I wonder how anyone can get through to someone like that? Is it a matter of personal pride--not wanting to think that he's been wrong this whole time? Camping and his followers could never come to grips with, "No man knows...." which is said 11 or 12 times in Scripture. The next date is May 30, 2012 which is 370 days after May 21, 2011 which coincides with the 370 days Noah spent on the Ark. Camping has already come to grips with it.